Every year we plan a couple of big ‘canning days’ and every year about half way through I say I’m never doing it again. Then we finish up and have all the yummy food ready for us all winter and I realize yet again that it was worth the time and energy. If you are new to canning you should know that you don’t have to go crazy like we do and try to can ‘all the things’. Pick one or two things that you have an abundance of or are readily available at your local farmers market and try a small batch. You can work your way up from there! We enjoy using canning as a part of the homesteading and homeschooling process. The children learn about food preservation, fill our pantry for the winter, learn about nutrition, and practice math skills (measuring, weighing, multiplying and dividing recipes). It’s also a great way to give responsibility to older learners. While there are parts of canning that need to be handled by a responsible adult or an older child, there are many parts of the process that are suitable for young children. My little ones tend to especially enjoy peeling tomatoes or peaches and shucking corn! I will answer some of the most common questions I hear about canning below to help you get started! We can a wide variety of things from tomatoes to peaches, salsa to turkey broth. We also enjoy pie fillings and jams for sweet treats in the winter months. We even can strawberry lemonade concentrate which is like a little burst of sunshine during cold winter. Just about any produce can be safely canned, some might need a little sugar or acid, but there’s loads of recipes here. Is it better to use a water bath canner or a pressure canner? That depends on what you want to can. I recommend starting with a water bath canner BUT some things are not safe to can in a water bath canner. In general, most fruits and pickles are water bathed and meats and vegetables are pressure canned but you can find out for each specific item on the websites in the resources below. How do I learn how to can? Canning tools (jar lifter, magnet, canning funnel) These sometimes come with water bath canners like the set above and are also sold separately. Jars and lids: Jars are reusable and typically cheaper locally than online due to shipping. Always make sure you use canning jars as other jars may not be rated for the heat. Metal lids are one time use, but the rings can be used multiple times. There is a little more of a learning curve but once you are comfortable with the canning process you can use Tattler Lids which are reusable, but cost a bit more. Recipes: Unlike much of cooking you it is not safe to freelance on your canning recipes. Canning recipes are specifically designed and tested for safety. There are many resources out there with recipes but not all of them have been tested for safety. Two of the most used and recommended resources that are tested and trusted are the USDA and Ball. If you intend to enter canned goods into a fair, many require recipes to be from one of these two sources. As my friend Crystal would say, “Can all the things.” Really though we enjoy canning a variety of different items. Pickles are one of my favorite even though they are little time consuming the rewards are great. We also really like corn salsa (we canned over 50 jars of corn salsa this week). For starting out I recommend jams or fruits as they tend to be simple but delicious and easy to do in small batches. We can for several reasons. We love to know where our food came from and support local farmers, we like controlling the ingredients, and enjoy the team building aspects of family canning. We also love to see the children engaged and contributing to the household. Do you have to grow a huge garden in order to can? Absolutely not! While growing a large garden is a great way to get produce to can, we often purchase produce in bulk from local farmers in order to can enough for our family’s needs. You can find local farm stands, u-pick farms, or even barter with a neighbor that might have an abundance. A quick Google search can lead you to horror stories of canning gone wrong. There is a very real danger to inappropriate canning. Botulism is nothing to play around with, however, as long as you are following safety-tested recipes and procedures canning is very safe. Follow the correct recipes, canning times, and canning procedures and your food is just as a safe (or maybe safer) than what you are buying in the store. What homeschool skills are taught/reinforced? In addition to it being a valuable life skill in and of itself, there is a lot of math that we use in canning. Measuring and weighing ingredients, multiplying or dividing when we need to halve or double a recipe, elapsed time when determining what time the canners will be done, we’re even considering getting into pH calculations and specific gravity as their chemistry advances to those skills. It is also a good lesson in nutrition as you talk about needing fruits and vegetables all year and preserving them for the winter when they are not able to be grown locally. We just finished up over 50 jars of corn salsa and 11 jars of plain tomatoes this week. I’m hoping to get a chance to can more tomatoes this summer and my daughter wants to make some blueberry jam to enter into our state fair. Canning is a lot of work but it is very rewarding work and we enjoy spending the time working together as a family. Leave me a comment with your favorite thing to can or any canning questions that you might have. Amazon Prime Day is coming up next week with LOTS of great sales. If you are not an Amazon Prime member you can get a free 30 day trial to take advantage of the great sales. This might be my favorite deal, 66% off a 3 month subscription to Audible. If you have not tried it, now is the time! Homestead Homeschool: Our Livestock Show!!! I promised that I’d share the results of the livestock show with you! The children had so much fun and learned so much. This was an all day event as we were there before 9 am and did not leave until almost 9 pm. I think we were all exhausted when it was over but it was a day well spent. Elizabeth took her goat out in the ring a total of four times, once as a helper in the special needs show, once to be judged on showmanship, once to have the animal judged in the market class, and then for the final ‘auction’. She was awarded Reserve Champion (2nd place) for showmanship and 6th place for market class! Matthew had three opportunities to take his pig in the ring, showmanship, market, and auction. He received 4th place in showmanship and 3rd place in market class. He did a great job and showed a tremendous improvement in control of his animal from last year. We were so proud of both of them. I hope you enjoy these pictures from the show. If you want to know more about their animals make sure you check out, Homestead Homeschool: Our 4-H Goat and Homesteading Homeschool: Our 4H Pig where I interviewed the children about their animals. Their next step will be to complete a project record book detailing their experiences and what they learned in the process. This is a great way for them to practice writing skills, typing skills, and financial math concepts. I love that they get a chance to use the things we are learning in a practical setting. It really helps them understand why they need the skills I am teaching them. Anyone else enjoy 4H projects? Don’t Forget Our Giveaway Going On Now at Launch Day and a Livestock Show! Sign-up Now for this FREE challenge that starts Monday! Don’t forget to sign up for the 5-day no-prep crafts challenge from Jamie at Hands On As We Grow. The deadline is fast approaching! It’s perfect for preschoolers to get crafty without the hassle! Click here to learn more! This is a deal I “splurge” on each year to give me inspiration and help throughout the year. Need a little homemaking inspiration? Join 100,000 women who have said YES to the Ultimate Homemaking Bundle since 2012. Get 129 eBooks, eCourses, and printables designed to help you declutter and organize your home, balance your many roles, meal plan and serve healthier meals, plus resources for parenting, marriage, working from home, self-care and much more. 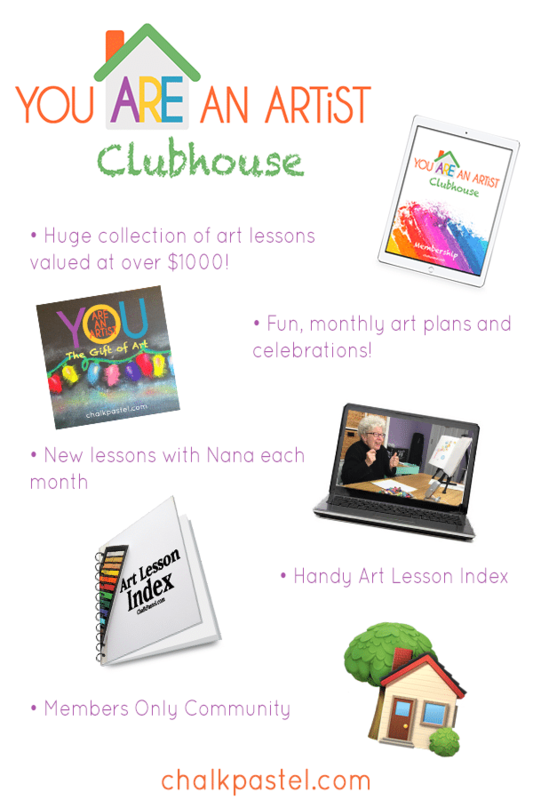 A SchoolhouseTeachers.com membership is one price for the entire family with courses for all ages. 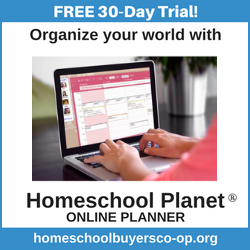 From preschool through the last high school year, SchoolhouseTeachers.com has it covered, and the price is locked in for as long as you keep your membership! Get a peek as you play our short Scavenger Hunt that ends with a chance to win fantastic prizes like Kindle Fire tablets, a laptop computer, and SchoolhouseTeachers.com memberships! 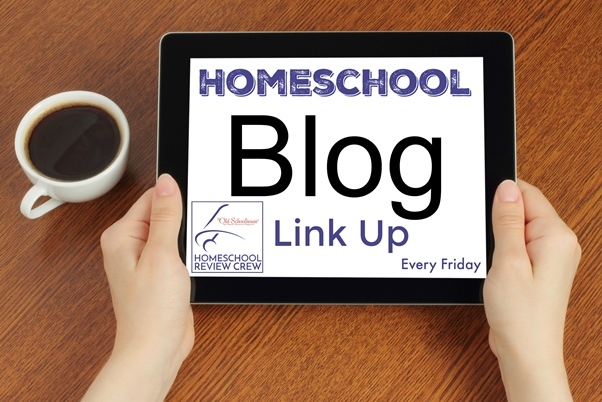 It is time for our monthly Homestead Homeschool post and this time I’ve interviewed my 10 year old daughter, Elizabeth. She is sharing today about the goat that she is raising for our 4-H livestock show next month. She is learning so much about responsibility, animal care, business, and public speaking. She will show her goat in the same show that my son shows his pig which we talked about last month in, Homesteading Homeschool: Our 4H Pig. If this sounds interesting to you, I encourage you to contact your local 4-H agent. Even if you don’t have the land or space to raise an animal at your home there are often ways to keep the animal at a local farm and the child go there to care for the animal. Tell me about your 4-H Goat Project. Tell me about your goat. What do you have to do with your goat each day? What does showing your goat look like? What do you hope to learn and accomplish this year? What do you think other people should know about showing goats? This is her first year showing an animal and I’m looking forward to watching her grow and learn through this process. She is planning to sell her goat after the show for breeding. While goats can go to to market and slaughter they are not required to and she preferred not to go that route. Goats can be shown on a circuit at several shows, but we are just participating in the one local show at this time. The show is in April and I’ll post some pictures and results afterwards. If you have any questions about 4-H you can contact your local cooperative extension office or check out our post, But I don’t do animals…or using 4-H in our homeschool. If you participate in 4-H, tell us your favorite part in the comments. Also, please feel free to ask questions about the goat or the show in the comments and I’ll do my best to answer them. Story of the World Sale at Educents! 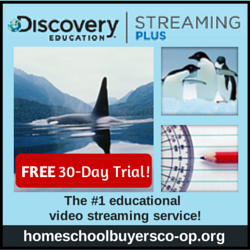 We love this history program and it is over 50% off right now at Educents! It is the March “Building Readers & Writers from Preschoolers to Teens” Bundle! Do you have a reluctant writer? Does your child have a desire to read? Do you have a preschooler at home? If you can answer “yes” to any of these questions, you need this month’s March bundle at The Old Schoolhouse® – 13 eBooks and 4 Print Magazines for only $29! As a parent, I love that this experience helps him with responsibility. He has to take care of his animal several times a day, and train him each day. In addition he is learning about animal husbandry, nutrition, business (he has to raise money and keep records of what he spends) and gaining a better understanding of where food comes from. By North Carolina law the pig must be processed with-in two weeks of the show. We could send it to auction or have it processed for our personal consumption. So this is also a great way to fill our freezer with meat that we raised. We use a local processing facility to process the pig after the show. Last year he also used the experience to do an oral presentation for 4H to improve his public speaking skills. We are fortunate enough to have the space to raise the pig here in our backyard which makes it easier for my son to care for and train his animal. However, if a child is interested in raising an animal and does not have the space of ability at their home there are often options for having them at local farms or facilities. Check with your local 4H agent or cooperative extension for more information on livestock opportunities in your area. Tell me about your 4H Pig Project. Tell me about your pig. What do you have to do with your pig each day? What does showing your pig look like? What do you think other people should know about showing pigs? We are enjoying having the pig for this short term project, though we are grateful that it is a short term project for us since it does hinder our ability to travel away from home without hiring someone to care for the pig. In addition to my son’s pig my daughter is raising a goat for the show. She is a bit tenderhearted and did not want to raise an animal that had to go to slaughter. Goats do not fall under the same law, so she will be able to sell it as a pet or for breeding after the show. I will share more about her goat and interview her for next month’s homesteading homeschool post. If you have more questions about the pig or questions about the goat feel free to ask in the comments and we will be happy to address them. For more information on 4H in general check out our But I don’t do animals…or using 4-H in our homeschool post. Last Day for a discount on this great Chalk Pastel Bird Course in honor of the Great Backyard Bird Count.